When Kalen, now 5, suddenly stopped being able to bear weight on his legs around one year old, a red flag of concern went off inside his parents’ heads. They knew something was wrong, but it would be over a year until they finally found answers. After 14 months of testing, Kalen was diagnosed with SMA Type 2. Although less aggressive than Type 1, the end result is the same: horrific. Spinal Muscular Atrophy does exactly what it promises – it slowly atrophies the motor neurons that control muscle movement. That’s why Kalen was suddenly unable to use his legs. SMA then moves on to weaken his arms, then facial muscles, ultimately compromising his ability to swallow food or breathe independently. It does not affect cognitive function whatsoever. The life expectancy is unsure, but thought to be around 10 years, and there is no cure. 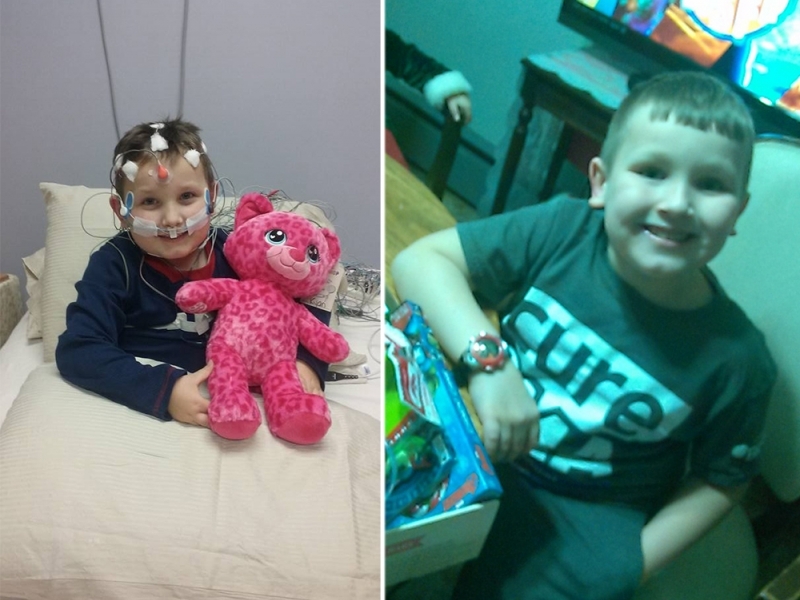 As Sierra and Jared dealt with this life-shattering diagnosis, they had their younger son Kyan tested, as preemptive action. 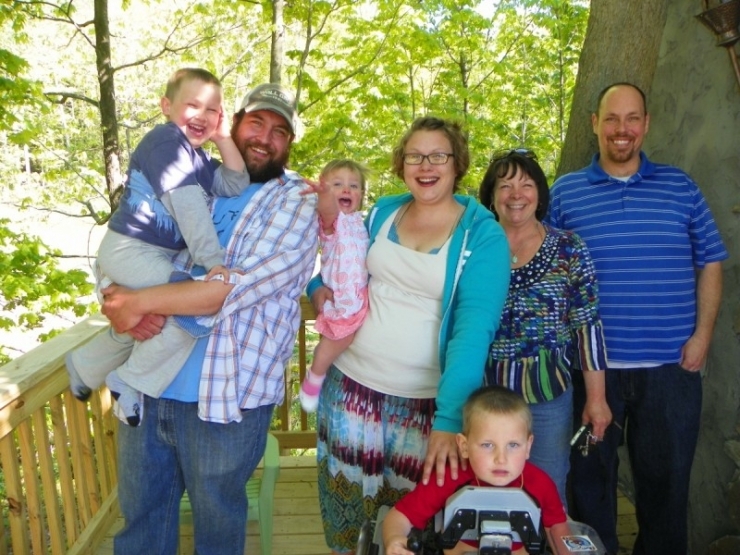 The chances were slim that both had inherited this genetic condition, but it was possible. When they got the call to come see the doctor for the test results, their hearts sank. 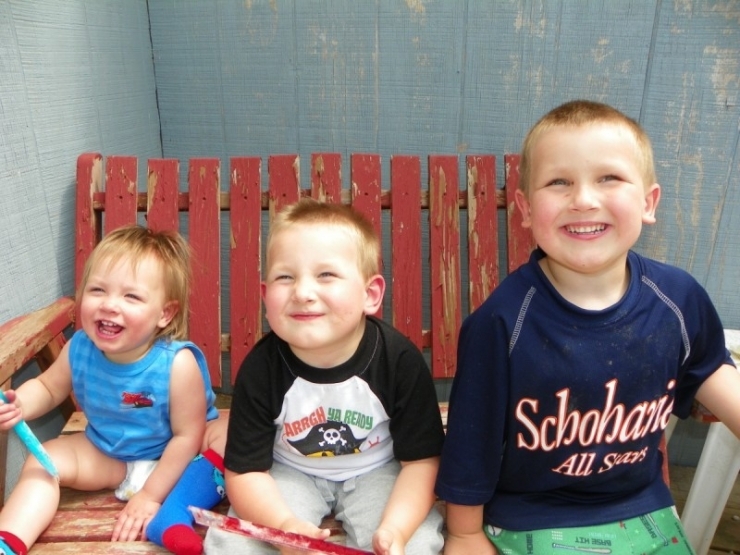 They already knew… both their sons had the same fatal disorder. “It’s easy in this situation to become negative and hopeless.” So together, the Kulas decided that they would not spend their time preoccupied with what they couldn’t change. Instead, they focused on the present. On spending each day cherishing the time they had with their sons. On trying to find a cure. 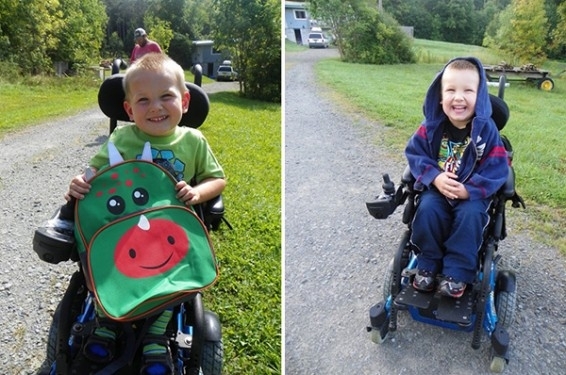 On making experiences as accessible as possible for Kalen and Kyan. And for that last one, they needed some help. As Sierra put it in her application to Chive Charities, “the boys deserve to be independent in their environment and their community.” We couldn’t agree more. For horseback riding, water therapy, to see wrestling matches and to play in an inclusive sports team, they needed a van that can fit their wheelchairs. To attend clinical trials that have drastically improved their symptoms, 4 hours away in upstate New York, they needed a way to be safely transported. 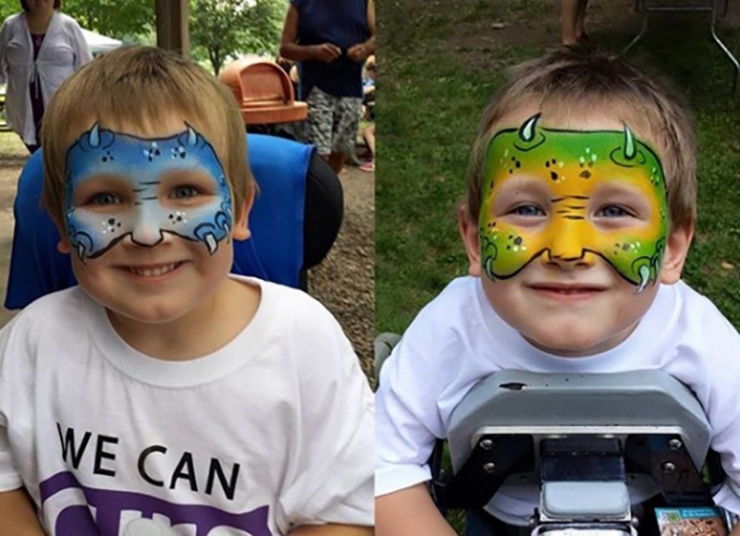 Kalen and Kyan have big dreams, and their dreams didn’t change when they got their diagnosis. And Chive Charities is in the business of dreaming big. 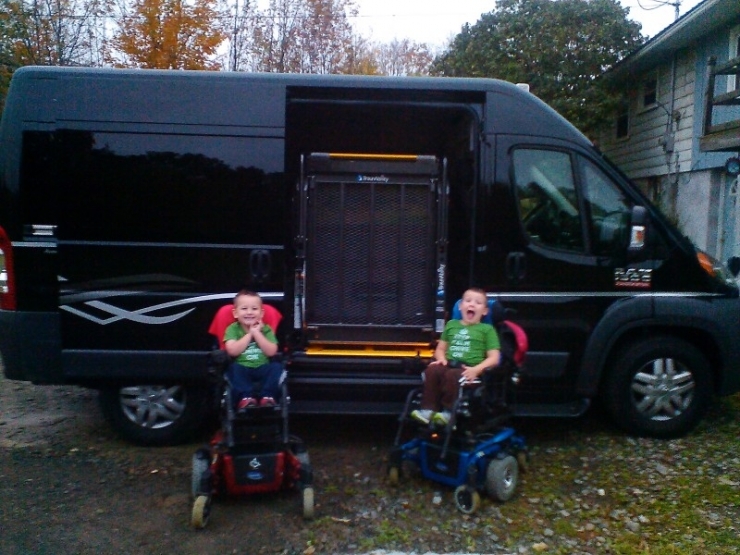 With a $55,000 grant from Chive Fund donors, they got the ADA van that will change their lives. The brothers’ connection was instant and unbreakable. They did not know how much they would depend on this bond later in life. 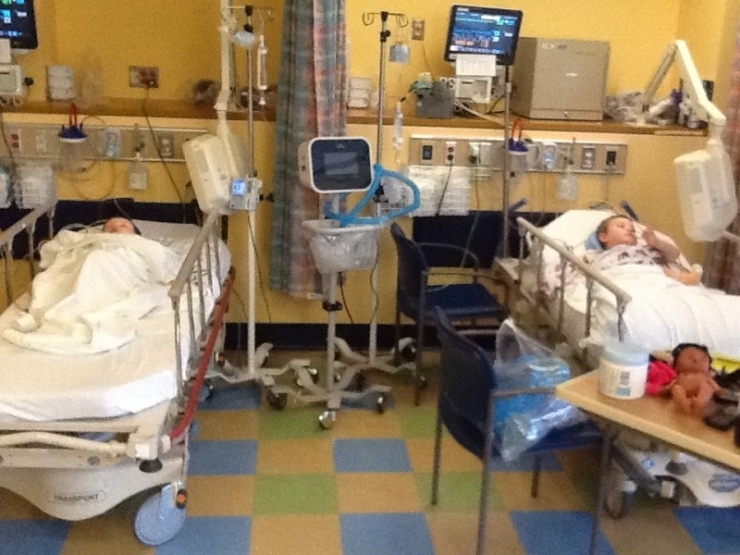 Now, this is “their normal.” Living with SMA is all they know. 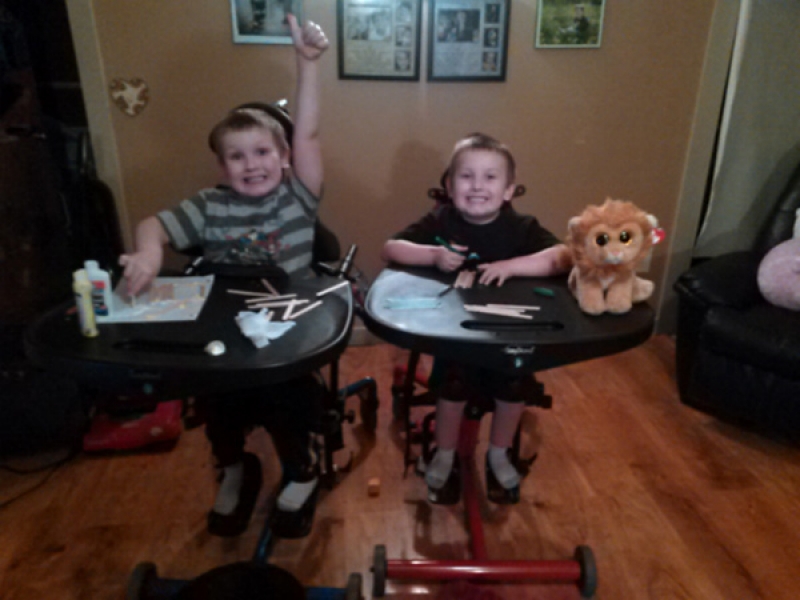 They chase each other around in their power chairs, and at night, Sierra and Jared can hear them talking about everything, including SMA, as they fall asleep. Doing things separately, for them, doesn’t make sense. 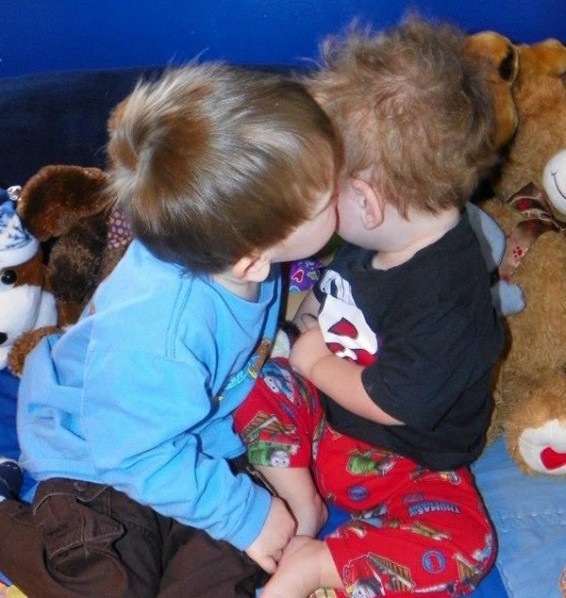 Kalen helps with everything for his younger brother. They are each other’s built-in best friend. These brothers stick together... through thick and thin. The boys at the 2015 Cure SMA Binghamton Walk and Roll! Obviously, they needed matching face painting. Sierra’s advocacy work for her sons led her to form the SMA Support System, the biggest international network for families affected by SMA to share experiences and be there for each other. Recently, cureSMA, the leading non-profit in the area, agreed to collaborate with them. Kalen and Kylan with their younger sister, Evalee Grace. She is not affected whatsoever by SMA. 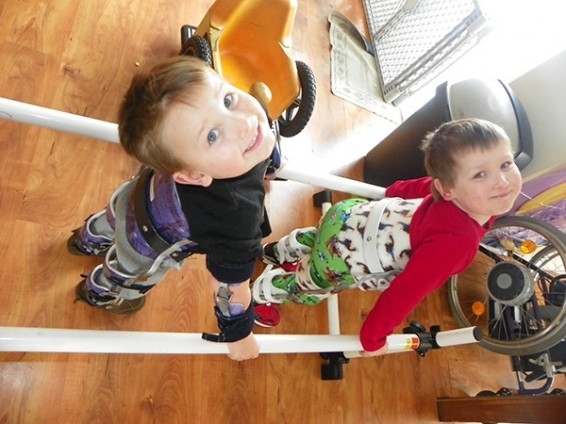 The boys doing physical therapy – together, of course. Did we mention they were best friends? The whole Kulas family! Mom Sierra and dad Jared with their three gorgeous kids: Kalen, Kyan, and Evalee, with Grandma and Uncle Justin! The boys picking up their new ride!!! Since getting the ADA van, they haven’t stopped talking about it. They ask to go outside first thing in the morning and ride in circles around it. They talk about the adventures they can take late into the night. Now when they drive over 4 hours to upstate New York for their clinical trials, they no longer have to borrow their grandma’s sedan, leave their wheelchairs at home and use strollers in the hospital. Every single time they travel, they will both travel safely, securely, and independently – with their power wheelchairs. Because of the $55,000 grant from Chive Charities, the world is at their fingertips. Jared works relentlessly at three different positions to make enough money to provide for his family. Sierra completed her degree in Human Development but after the boys’ diagnoses she decided to stay home with them, leaving her with no income and lots of debt. They couldn’t have known their first two children would both have to fight for their life. That they, as a family, would spend their free time searching for a cure. But then they look at Kalen and Kyan and realize: Everything is as it should be. Without them they would never have had the beautiful experiences they’ve been able to share as a family. They would never have known the pain or the joy that accompanies life with this disease. 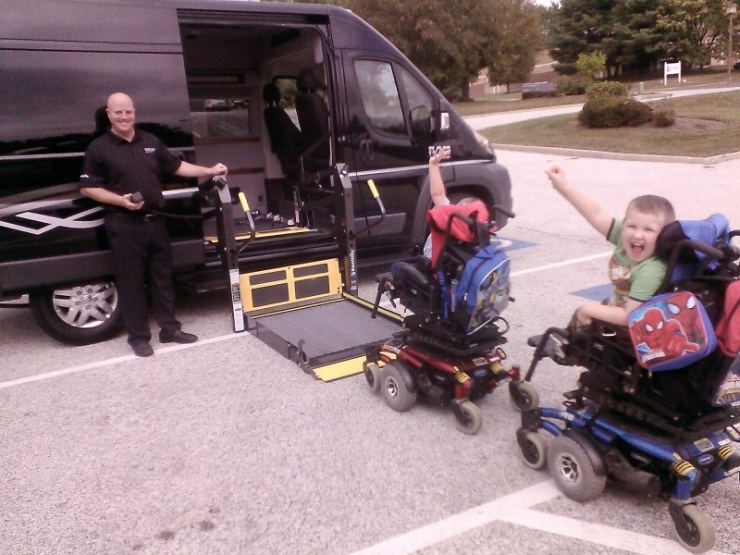 They would never have come to the conclusion that in order to give their sons the best quality of life, they would need a wheelchair-accessible van. They would never have sought out Chive Charities. They would never have become part of the Chive Family. Our Chive Charities Members are the unsung heroes behind every story. We are able to make the world 10% happier because of them. To change lives with us, become a Chive Charities Member HERE.